It's almost Spring, right? Well, I know it's supposed to be, but here in New York, we've been waiting for Spring for a long time!!! 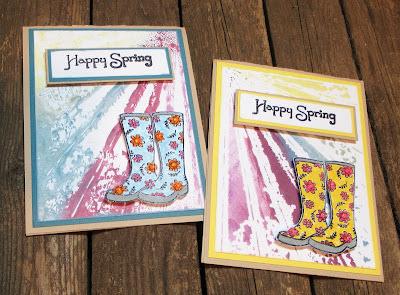 Check out my Happy Spring cards created with a stencil and VersaMagic Inks.